Fresh, homemade guacamole is one of those simple dishes that can make a meal extra special. Creamy avocado, smashed with some fresh cilantro and tomatoes is so super simple to make and doesn’t really require a specific recipe. Guacamole is one of those dishes that you can make to personal taste. 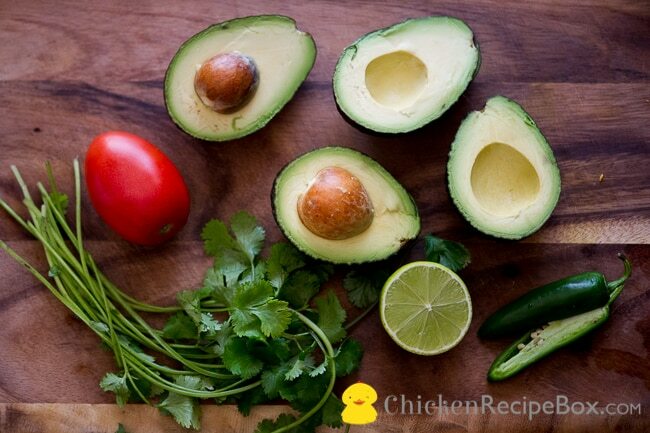 Add what ever you wish to heighten the flavors of the the fresh avocados. 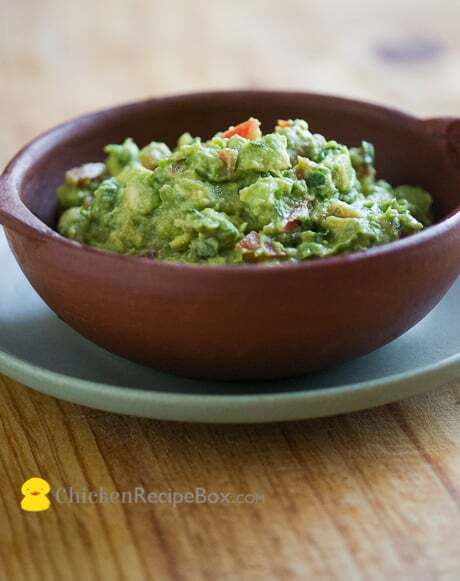 This recipe for guacamole is our basic and favorite to add to our many Mexican inspired chicken dishes, especially for our tacos, taquitos and quesedilla recipes. 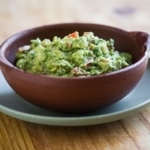 This guacamole recipe can also be doubled or tripled easily for larger batches. Enjoy! Stir and mash together avocado pieces and lime juice until the avocado is almost your preferred consistency. Stir in tomatoes, jalapeno, and cilantro. Season with salt to taste and add more lime juice or jalapeno if desired. Serve immediately. If not serving immediately, to best keep the guacamole from browning, keep it as airtight as possible. Press a piece of wax paper into the top surface and seal the bowl with plastic wrap.